After checking into the hotel on Thursday, I didn’t waste any time and went to Koreatown for a late lunch. I was in LA, the best city in America for Korean food, and determined to take advantage of this every chance I got. 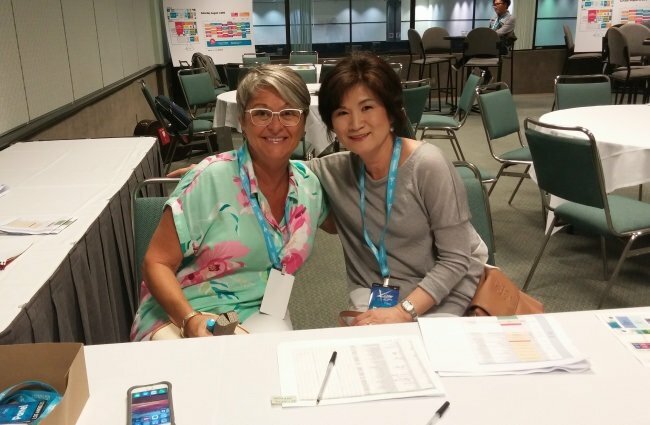 On Friday, the KCON convention began. 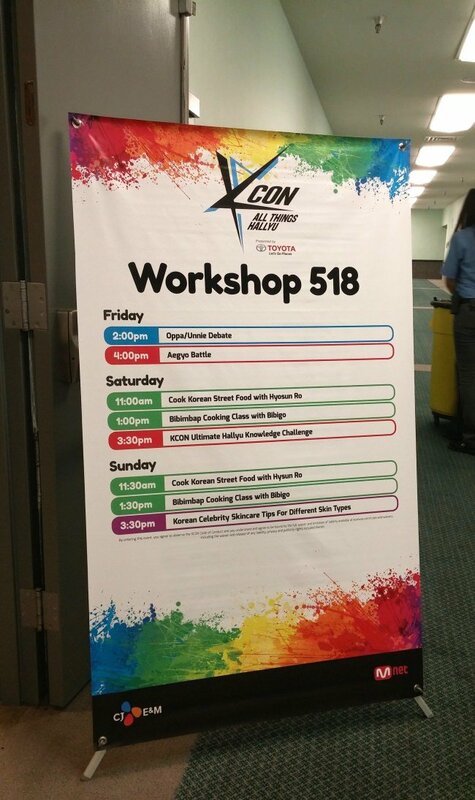 I didn’t have a workshop that day, but I went to the convention center to check things out. I loved this year’s indoor location. It was nice, cool, and spacious. On the main floor, there were so many booths for fun activities and merchandise. 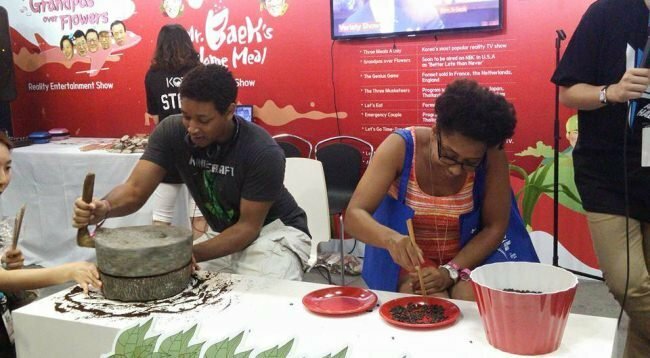 Look at these guys showing off chopstick skills, and grinding beans in a traditional stone grinder. I also met some awesome people! The panels and workshops were being held upstairs. In Room 518, where I’d have my cooking workshops, the tables were nicely set up for 100 people. It looked a bit intimidating to me, so I kept telling myself “you can do it”! We got there early Saturday morning for my 11 a.m. workshop. 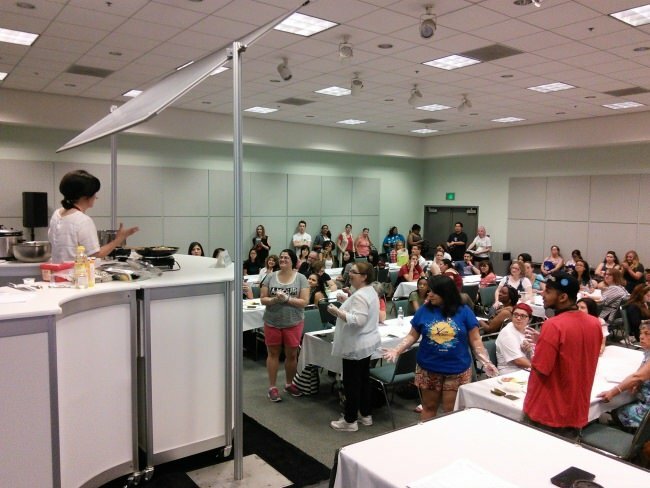 We made some tteokbokki in advance, and set up little hands-on stations at each table for the attendees to try rolling gimbap. The word on the streets was that so many people were lining up outside the room. 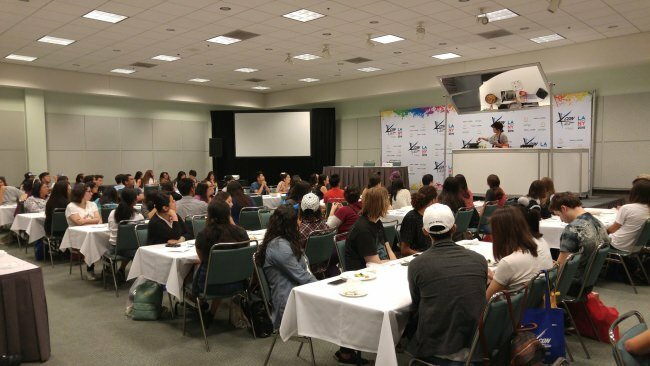 A few minutes before 11 a.m., the room was completely filled with Korean food enthusiasts. The only problem was that the room wasn’t big enough for everyone to get in. Sorry if you couldn’t make it in! 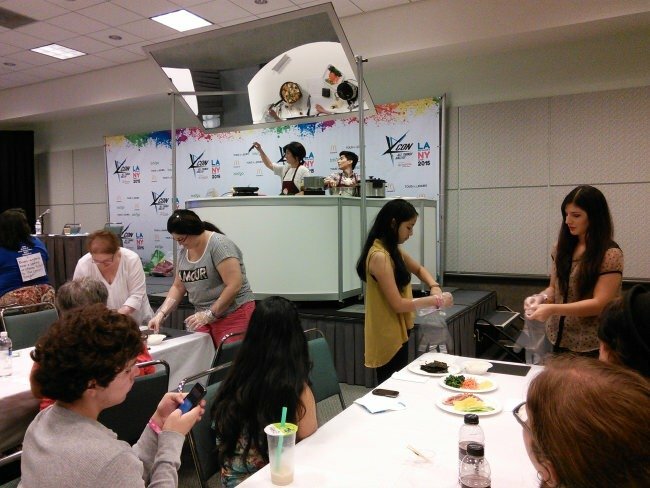 The audience loved the gimbap rolling activity! 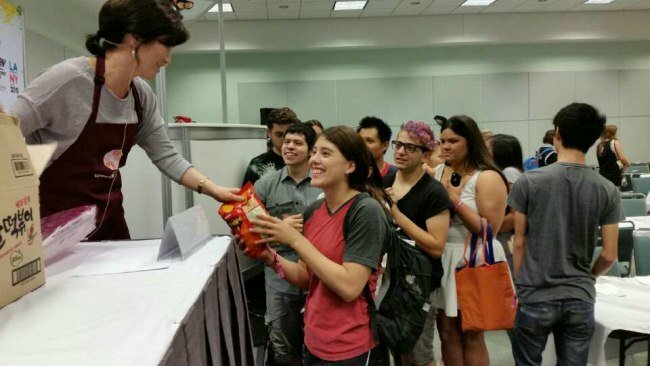 Also, one of the attendees came up to me afterwards, and she said the ttoekbokki we made in class was the best one she’s had in America (and she had it quite a few times). I was ecstatic to hear that! I learned from the first workshop that we would need to cook more food in advance so everyone can have a taste. I also needed to buy a lot more ingredients since there were many more people than I expected. That evening, I had the amazing opportunity to film a video with Buzzfeed – the Try Guys. I taught them how to make tteokbokki and mini gimbap. It was so much fun! 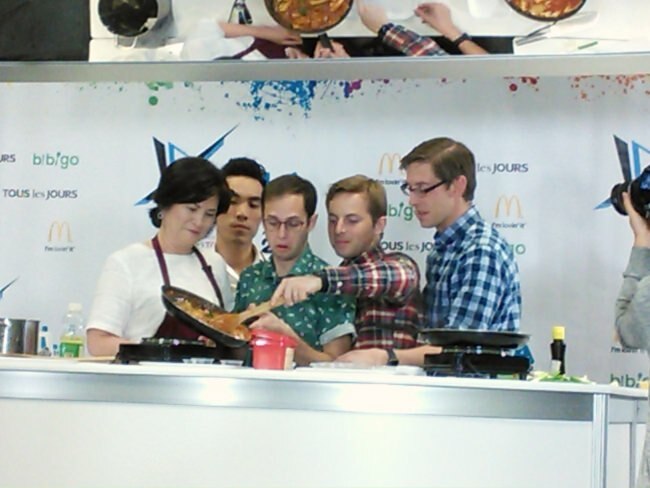 The guys were actually pretty good cooks, but to three of them, Korean food was new. We made two batches of tteokbokki while recording, and they were both devoured by the time we finished. The guys asked me if I wanted to be the Try Mom– how sweet! It was a full house again the next day. For both days, I had the most attentive and engaged audiences, which made my job so much easier and way more fun! 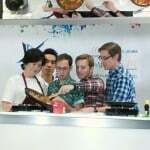 They rolled their gimbap very well, and asked a lot of good questions. 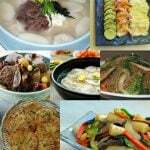 How do you make vegetarian tteokbokki? 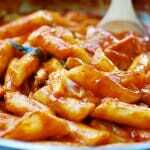 How do you make tteokbokki extra spicy? 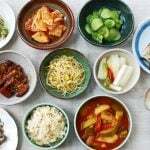 How do you reheat tteokbokki? Do you need to cool the rice before using it to make gimbap? 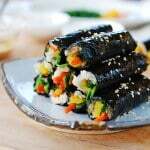 What are the proteins that can be used in mini gimbap? And more…. At the end, I had some quiz questions for the audience, and gave out a small package of gim (nori) as a prize for answering each question. Also, while I was shopping at a Korean market in LA, I discovered a little Korean snack called ssal tteokbokki, which is a bag of tteokbokki flavored rice chips. I thought it would be cute and fitting to send the attendees off with a little tteokbokki love, so we went around all over K-town to buy as many as we could. Then, of course, the photos! 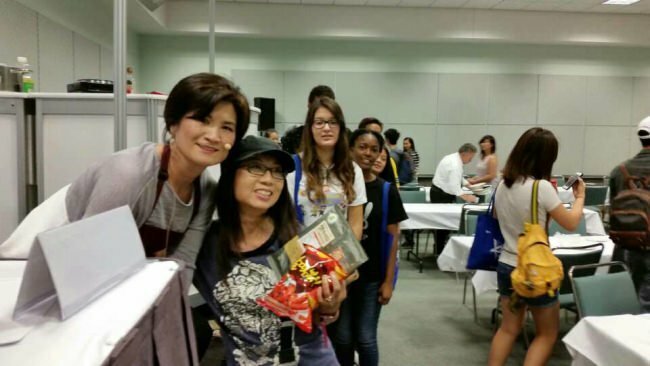 I was extremely grateful to see such a long line of people that wanted to come up for the meet and greet with me. Send any photos my way! The workshops were very successful, thanks again to the awesome audience! 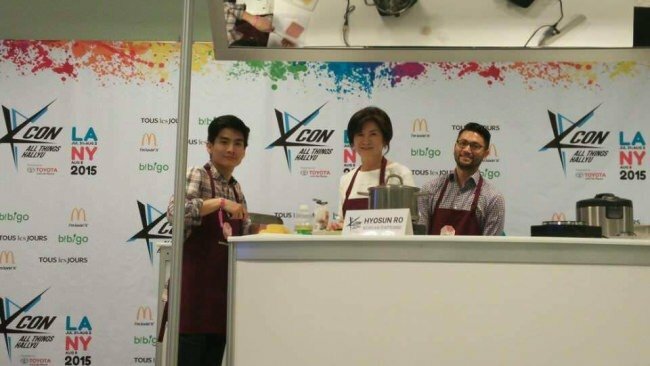 I also want to thank my four person squad (Chris, Issamu, Jae and Young) that helped me in and outside the workshop room, moving things between the hotel and the convention center, running to Korean markets, prepping the ingredients, etc. And my daughter who discussed this event with me for months, gave me so many fun ideas, and was there with me in spirit. I couldn’t have done it myself! My visit to LA could not have been complete without visiting Santa Monica Beach. My tired feet loved the “sand massage” and the cold Pacific water! 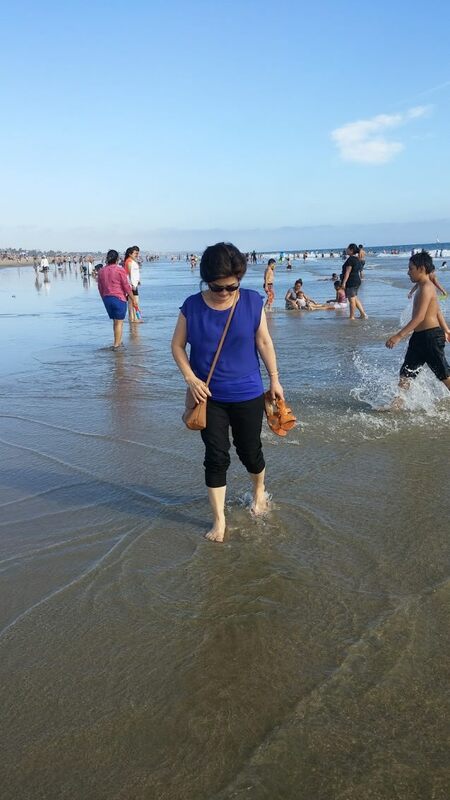 I felt totally refreshed afterwards thanks to my brother living in Santa Monica! 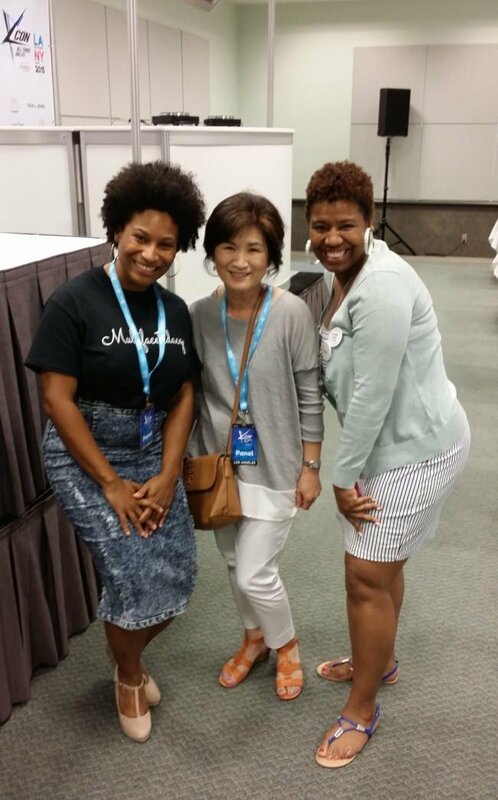 We wrapped up our LA trip with the K-pop concert at the Staples Center – the main event of KCON 2015! I may have been one of the oldest people at the concert, but I really enjoyed it! 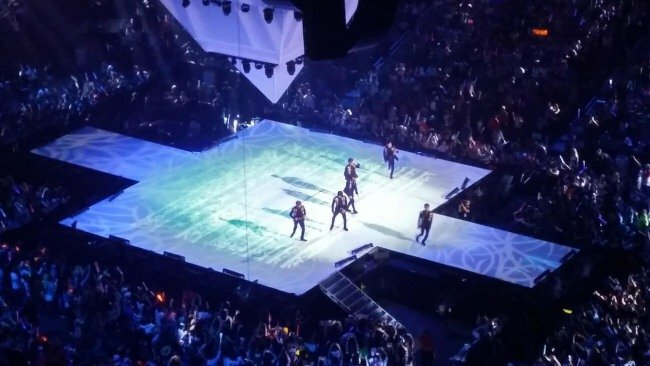 Finally, I’ll leave you with this 4-minute recap video released by KCON. 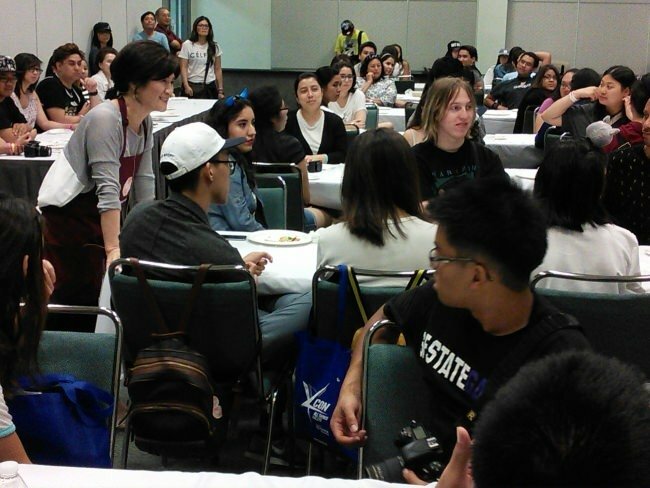 I was at both your panels at KCON! I loved your first panel so much that I asked my sister to attend the Sunday panel, and she was glad she did! I’m glad I went on both days because I was able to learn something different on the second day. THANK YOU for coming to KCON!!!! I discovered your website, and I cannot wait to make many of the dishes you posted! I’m already drooling from the images and recipes! Aww thank you, Annie! That’s totally awesome that you were there both days! You guys were amazing. Thanks for attending and discovering my blog. 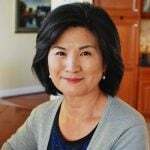 Hope you find many recipes you like. Next year, if I am there and you are there again, you need to come up and talk to me. Just tell me you were there both days in 2015. I will know who you are. Cheers! That looks like so much fun! 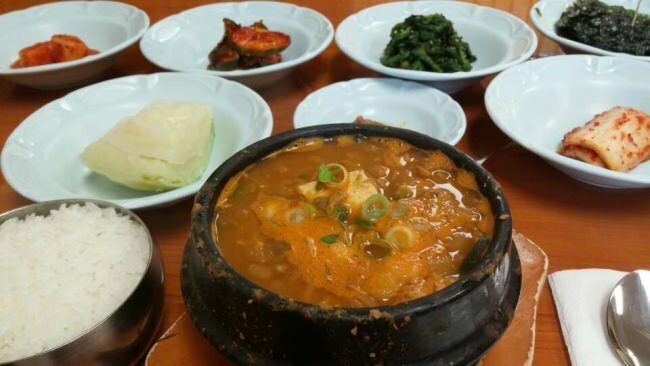 Which Korean restaurants did you go to in koreatown? And which was your favorite? Yes it was! The photo on the post is Olympic Cheoggukjang. 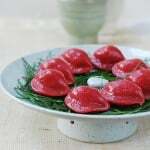 We also went to Yucheon Naengmyeon, Soban, and Young King Korean Chinese restaurant. We went these for different types of food. They were all great! Thank you, Latha, for the nice words! Hopefully one day I’d have time for videos – maybe when I retire from my day job.